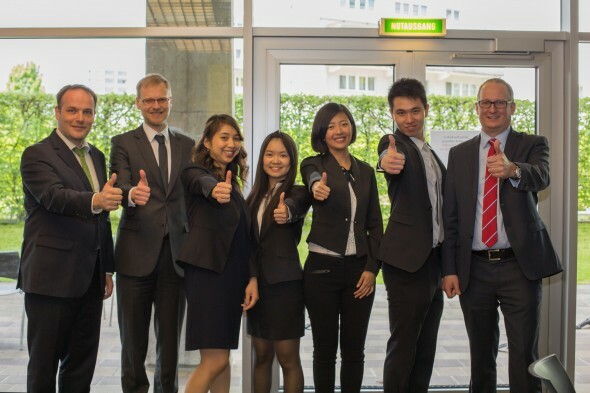 voestalpine has supported the international ACT program at Johannes Kepler University Linz for more than 10 years. In late April, the final company presentations took place. The international ACT program is a joint Master’s program of Johannes Kepler University Linz (Austria), the University of Victoria (Canada) and the National Sun Yat-sen University (Taiwan) in the field of Global Business. As part of this unique program, the students spend around 3 months in Canada, Taiwan and Austria. During the last module which takes place at JKU, they work on several projects in cooperation with Upper Austrian companies that act globally. This is done alongside their regular courses in which they also work in international teams. This is why voestalpine has been a loyal partner of the ACT program for many years. As an example, the participants of the ACT program developed recruiting strategies for the Austrian, the Chinese and the Canadian markets in international teams, but also analyzed the market for mergers and acquisitions in Europe, Asia and Canada and even developed their own knowledge transfer model for companies acting on an international scale. "We are very proud of the cooperation between the ACT program and voestalpine because it has lasted for 12 years now and we are glad that we are asked every time, because it means that we, as a company, are interesting for the program." The students as well as the companies profited from the results of the projects that were carried out within the international Master’s program. While the companies receive carefully developed results and gain access to new ideas, the students gain insights into the companies’ practices and are able to build their network.